International cooperation strengthens the country’s public safety and counter-narcotics strategy. TEGUCIGALPA, Honduras – Here’s how big Nov. 29 was in Honduras’ counter-narcotics fight: The seizure of 24,250 pounds of pseudo-ephedrine represented nearly half of all of the 42,990 pounds of narcotics confiscated nationwide in 2012. The bust, which occurred in the village of Pata de Gallina in the department of Yoro, was the largest seizure of pseudoephedrine – used to make synthetic drugs – in the country’s history. Of the 42,990 pounds of narcotics seized so far this year entering the final week of 2012, 18,739 was cocaine, representing a significant increase compared to the 10,410 pounds seized in 2011, according to the National Office for Combating Drug Trafficking. Honduras’ success in its counter-narcotics fight is rooted in being involved in Operation Martillo, a joint effort of Western Hemisphere and European nations to curtail illicit trafficking routes on both coasts of the Central American isthmus. 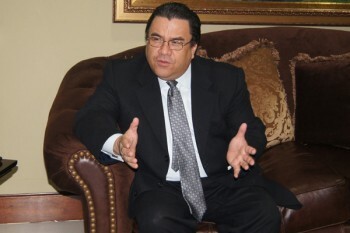 The country also sought the advice of Colombia’s National Police, the Organization of American States (OAS) and the Chilean government, which all concluded narco-trafficking and organized crime were threatening Honduras’ national security, according to the Secretary of Foreign Affairs Arturo Corrales Álvarez. Honduras received US$60,223,457 in 2012 in international aid to bolster its narcotics fight after getting US$60,742,457 in 2011 and US$59,613,457 in 2010, according to the government. Operate at the community level, increase citizen participation and empowerment and extend the counter-narcotics fight nationwide, not just in the nation’s capital of Tegucigalpa. Wilfredo Méndez agrees with Corrales Álvarez. Among other initiatives to increase the country’s security, Honduran officials also fired numerous corrupt National Police officers, and lawmakers amended Article 102 of the Constitution to allow Hondurans to be extradited if they are wanted on narco-trafficking, organized crime or terrorism charges. Operation Martillo consists of offshore monitoring, along the Pacific and Atlantic coasts, to intercept narcotics entering Honduras to prevent their transit to other nations. Nearly 90% of the cocaine that reaches the United States comes through Mexico and Central America, according to the United Nations International Narcotics Control Board. “This major operation has succeeded in reducing the quantities of the drugs coming in, as well as the number of landings by planes operated by the drug trade in recent years,” said Corrales Álvarez. Five narcotics-carrying airplanes were seized in Honduras this year after three were confiscated in 2011, according to the Administrative Office of Seized Goods (OABI). Honduras also took part in the Fourth Meeting of the Mexico/Honduras Bi-National Commission, which was held in Mexico City in September. The countries agreed to carry out prevention workshops in Honduras and Mexico and improve the training provided to Honduras’ National Police and Army.